I’ve seen this from different sources, including lots of email. However Dcn. Greg Kandra has the most prominent post. An idiot deacon – listed among the Permanent Deacons of St. Rose of Lima Church in Eddystone in the Archdiocese of Philadelphia – put on a dog mask with vestments at the ambo. No, it’s not cute or clever. No, the Eagles game is no excuse. This is stupid and this is sacrilege. The culpability of sin can be diminished due to ignorance. However, deacons ought to know better. Alas, some permanent deacon formation programs have in the past not been very good, to put it mildly. Good men with good intentions were cheated of even barely adequate formation. At the same time, there is the pastor of the parish who must be held to account. If he signed on on this, he, too, is guilty of sacrilege. The fact is: When you are a cleric, it is difficult to claim ignorance. There is such a thing as culpable ignorance. There is also such a thing as invincible ignorance. At that point, one must wonder how the program of formation as well as those who approved them for ordination. One must wonder about their supervision, at the level of the pastor and above. In my email, someone also asked me about sports apparel in the sanctuary. The sanctuary is not the place for sports apparel. Use of sports apparel in the sanctuary is demeaning for the congregation and far beneath the dignity of the priest. Most of the time, when things like this are done they are well-intentioned. However, they reflect a lack of understanding of who they are and what they are doing. For the eastern region of Libya, which the nomads inhabit, is low-lying and sandy as far as the river Triton; but the land westward of this, where dwell the tillers of the soil, is exceeding mountainous and wooded and full of wild beasts. In that country are the huge snakes and the lions, and the elephants and bears and asps, the horned asses, the dog-headed men and the headless that have their eyes in their breasts, as the Libyans say, and the wild men and women, besides many other creatures not fabulous. ἡ μὲν γὰρ δὴ πρὸς τὴν ἠῶ τῆς Λιβύης, τὴν οἱ νομάδες νέμουσι, ἐστὶ ταπεινή τε καὶ ψαμμώδης μέχρι τοῦ Τρίτωνος ποταμοῦ, ἡ δὲ ἀπὸ τούτου τὸ πρὸς ἑσπέρην ἡ τῶν ἀροτήρων ὀρεινή τε κάρτα καὶ δασέα καὶ θηριώδης· καὶ γὰρ οἱ ὄφιες οἱ ὑπερμεγάθεες καὶ οἱ λέοντες κατὰ τούτους εἰσὶ καὶ οἱ ἐλέφαντές τε καὶ ἄρκτοι καὶ ἀσπίδες τε καὶ ὄνοι οἱ τὰ κέρεα ἔχοντες καὶ οἱ κυνοκέφαλοι καὶ οἱ ἀκέφαλοι οἱ ἐν τοῖσι στήθεσι τοὺς ὀφθαλμοὺς ἔχοντες, ὡς δὴ λέγονταί γε ὑπὸ Λιβύων, καὶ οἱ ἄγριοι ἄνδρες καὶ γυναῖκες ἄγριαι, καὶ ἄλλα πλήθεϊ πολλὰ θηρία ἀκατάψευστα. This entry was posted in SESSIUNCULA and tagged culpability, deacons, Herodotus, Oaf For A Day!, permanent deacons, sacrilege, sports. Bookmark the permalink. With all this push for “green” and “renewable” energy, when I come across situations like this, I wonder if we can’t contribute. Taking my lead from Jonathan Swift, I propose we begin to attach drive shafts to saintly clerics bodies before burial. We can retroactively do this to others upon their exhumation before Canonization or Beatification. Archbishop Chaput is one of the good guys. I have no doubt that he will address this properly. i would have gotten up and walked out as soon as I saw that. Baffoonery is a desperate attempt for personal relevancy. It is endemic in ecclesiastical circles from the top down, on daily display. As a Permanent Deacon at a different Saint Rose of Lima, words cannot even begin to express how wrong this is, or how embarrassed I am for this Deacon and Permanent Deacons as a whole. While I can only speculate on whose “dog brained” idea this was, and who gave final approval; I will pray for them for guidance and forgiveness. Thank you for the Nope Meter. I needed that on this fairly tense day. 1) Boy, this deacon sure likes to draw attention to himself. 2) Someone needs to clue this deacon into the fact that such ploys have failed miserably throughout the past 50 years at effecting long-term interest in going to Mass. 3) OK, the dog mask thing was cute for like the first 15 seconds of your homily, but can you take it off now so I can understand you more clearly? I hope that His Excellency Archbishop Chaput will give Deacon Anthony Dilenno a swift kick in the backside on his way out of the chancery and the opportunity to find a vocation more fitting with his level of maturity after his dismissal from the clerical state. Why is the Sanctuary holy? What does the Sanctuary hearken back to in the Old Testament? How does the presence of the Eucharist in the tabernacle change how I should act? Why is a dog mask inappropriate? Why or how is it even appropriate for a human to be in the Sanctuary? https://en.wikipedia.org/wiki/Sanctuary In many Western Christian traditions including Roman Catholic, Lutheran, Methodist, and Anglican churches, the area around the altar is called the sanctuary; it is also considered holy because of the physical presence of God in the Eucharist, both during the Mass and in the church tabernacle the rest of the time. This lunacy betokens lack of training, lack of appreciation of the dignity required of public service, lack of respect for the Blessed Sacrament and sheer lack of common sense. And yes, I would say that it is sacrilegious. This stunt would be utterly unthinkable in the Extraordinary Form. That’s not to say that the OF is intrinsically awful; just that there is something about the OF and about the mindset of too many clergy and laity who celebrate and prepare the OF that is amenable to gross and minor liturgical abuses, which is not at all the case with the EF. Right up there with what I had to endure in college, a woman reading from “Winnie the Pooh” replacing a priest reading from Matthew, Mark, Luke, or John. The priest, despite his faults, soon thereafter fired the woman “liturgist”. Our Lord must be SO offended because even those ordained are allowing this. We need dogma and we get dog masks. And there in the window behind him, Our Lady weeps. This reminds me of a certain deacon in my former home parish (since switched to another parish that offers the TLM) that used to rap the homily to better “ connect” with the congregation. It got so bad that my kids would look down at there shoes in embarrassment. To make matters worse , after delivering his rendition the congregation would clap! Ugh . Which brings up another point , no one should , ever and I mean never , clap in Mass. This drives me bonkers. Awwww, ya just gotta love that look with one ear up and one ear down….Barf. Ok, no, you don’t. Even if one can imagine, as a deacon, thinking the thought ” I could go out and make a point with the dog face,” it should have struck him immediately after that “no, that’s a terrible idea, for the following 47 reasons.” That the second thought did not stop him in his tracks long before asking his pastor “Is it OK if I…” means his sense of liturgy is REALLY off kilter. I can just name you several other cases where the deacon/priest draws attention to himself. For example, the priest calling up children around the altar during consecration, the priest carrying a baby up to the altar and kissing the altar, ad lib during the canon, and liturgical dancing all of which were distracting regardless of which culture it reflected. In this manner, when I attend the new mass anywhere, I get a sense that this is the mass according to the tastes of Father so and so – thereby drowning out the persona Christi and anything solemn about the mass. For that reason, I find the regulations, rubrics, gestures and prayers in the TLM to be very purposeful and the theological depth expressed is much deeper than what the new mass can ever achieve. O, the shame! On behalf of my order, I apologize. And to paraphrase the great Leo, I’ll add: Deacon, remember your dignity! Goes in search of a very small doghouse and a very short chain. Rather than the transcendent Holy Mass, those unfortunates at this Philadelphia parish church get the Feast of Fools. No Churchmen with chests to be seen here. Repugnant as this is, we should not be overly harsh on the Deacon responsible – though of course he should be corrected. The reason we should not be harsh is because, with this kind of stunt, he is clearly taking his lead from the high leadership of the Church and is being faithful to the example so many of them give. “cheese head” thing is again something to do with American Football). Cardinal Schonborn has held “balloon masses”, where people have released helium balloons with prayers tied onto them. (I can only deduce that God is not omnipotent and needs this kind of help). Pope Francis has previously concelebrated mass with giant-sized puppets and has also had a couple dancing the tango (a dance which apparently originated in brothels) in the sanctuary of a Church. I am sure this is not an exhaustive list and that there are many Bishops and Cardinals who might be embarrassed if certain photos of past-stunts turn up. So, given the example of the Princes of the Church, it is hardly surprising to find buffoonery at the level of a Deacon. More than anything, this kind of this highlights the abject poverty of the novus ordo mass, if the clergy involved in such masses feel they have to resort to wearing masks and “acting the goat” to try to generate interest or rather to “entertain” the people present. In my many years of attending the novus ordo, I fortunately did not experience anything like this. However, I didn’t experience anything worthwhile either and can only recall two occasions where I heard anything of great interest from the pulpit. Most of the time, the memorable aspect of a novus ordo mass comes from the priests funny anecdote or his little joke at the end or, yes, the time the deacon wore a dog mask. I’m still numb with relief that my first take–that some bishop had ordained a dog–was an error. The mask would be less a shock if I hadn’t already seen a priest use “Father Ralph” (a dog hand puppet) to deliver a homily some thirty years back. Oh boy. This reminds me of the annual ‘pilgrimages’ my family would make to Green Bay, WI where we constantly experienced similarly bizarre instances at local parishes there. I remember one Sunday in Advent in which the Green Bay Packers were hosting their rival Minnesota Vikings and the priest work green vestments because, as he stated, he just couldn’t bring himself to don ‘purple’ that Sunday. Another time, it was season opener, the altar girls processed in with a football. When Fr. got to the sanctuary, an altar girl held the football like Lucy from Peanuts while Fr. kicked the ball out into the pews to roars and laughter. Football is its own religion in some parts. Reminds me back in my younger days when a priest rode a bicycle inside during the procession. I’m disappointed that some of my more ardent fellow Eagles fans didn’t start pelting him with batteries, snowballs, or whatever other missiles that may have been within arms reach. This deacon is very deserving of the “Santa Clause treatment. I think there’s a huge load of difference between a deacon that overdid the idea of coating sermons with artistic means and then did a bad job of it, on the one hand, and a deacon who (to say the very least, and leave the charge of “sacrilege” in the open) did something he had to know that people could and would take scandal by without the slightest imaginable benefit on the plus-side. I see that the window in the background is Our Lady of Sorrows: appropriate. I attend two parishes and both have two deacons. The deacons at one are faithful and do not preach or act out of character. The deacons at the other—well, they do not darken the door of the adoration chapel nor are seen at daily Mass. I have only seen the one a couple of times but the other one is one I never ever want to hear again. At RCIA he dissed the Blessed Mother; in homilies I have heard him be political. I make sure not to attend the Masses where he ‘preaches’ his own gospel. In a former parish our deacon, a divorced man with 5 children, said he did not come to daily Mass because he did not want to look “churchy”. He succeeded in that. 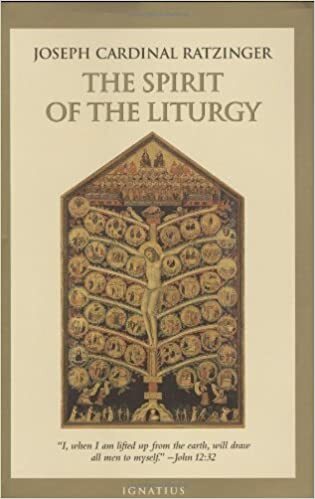 In his book “The Spirit of the Liturgy” the then Cardinal Joseph Ratzinger wrote: “Whenever applause breaks out in the liturgy because of some human achievement, it is a sure sign that the essence of liturgy has totally disappeared and been replaced by a kind of religious entertainment” (Page 198). Can’t agree more with that great Pontiff, may he live a very long life . @ Charles Flynn thank you for the book recommendation. At what point does this go far enough that our Lord comes back to do a money-changers-temple throw down? Guess we can’t channel our inner Lord Jesus Christ and layeth the smacketh down ourselves, right Father? I am more stunned by the examples of the other abuses that are recounted in the “Comments” than even this horrid dog mask. The Seahawk Mass at Maryville, Washington was not an aberration. Kicking footballs? Bicycles? Papal Puppet Mass? Last Tango in Paris? Discarding liturgical colors? Helium-filled party balloons at Pentecost (Hey, lighten up … it’s the Church’s birthday, kids!) and a “Whistling Deacon” at our parish seem almost reverent now. I wish I had never seen this picture. It is like a Hieronymous Bosch painting come to life. I was unaware of the football reference so my impression was simply that some incarnate demon appeared at that church.